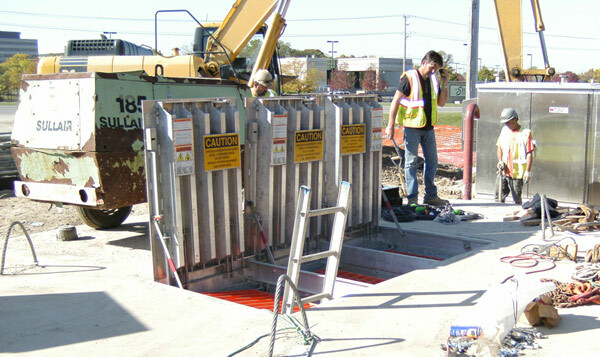 Sanitary and storm water lift stations are simply asked to run when required without issue for years and even decades. However, they sometimes are over-looked or forgotten regarding maintenance. Municipalities must budget their money to maintain equipment, make upgrades, or just stay up-to-date with the latest water management technology. There are several factors to look at when deciding what, how and when to make changes to existing systems including safety, reliability, durability, performance and value or cost. Local communities and utility companies often look to Metropolitan Industries for assistance when seeking input on decisions for their communities. The following are a few examples of local communities who have used a variety of Metropolitan’s equipment and technologies to stay current with the latest industry trends. Adding new access hatches with the latest fall prevention options is a simple way to make the collection system operator’s lives easier and safer. Providing a solid stationary platform (grating) below the “open” access hatch can help prevent falls while allowing operators to observe their systems at the same time. 40 year old lift station upgrade jobsite near Barrington, IL. Frequent repairs or multiple service trips to temporarily fix a problem on a station is a sign to begin the upgrading process. 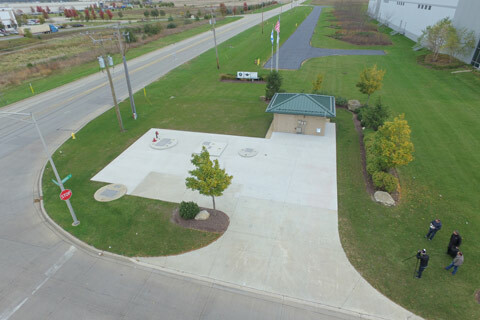 Rather than repair an assortment of outdated equipment, including many differently configured and a variety of manufacturers’ controllers, the City of Joliet, IL made the decision to upgrade and standardize their lift station controllers. This allowed the city to easily add the collection system components to their SCADA monitoring system. 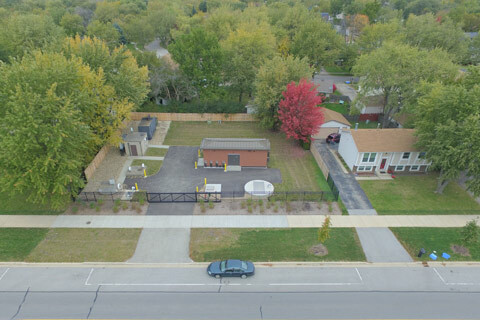 Using our LMS II transducer-based lift station controller, the City of Joliet was able to upgrade 38 of their existing stations in the first phase of their SCADA system improvements. Using cellular modems, new Allen-Bradley PLCs and working with the city’s engineer, Metropolitan was able to improve the speed, accuracy and reliability of data and alarms from each of the lift stations. 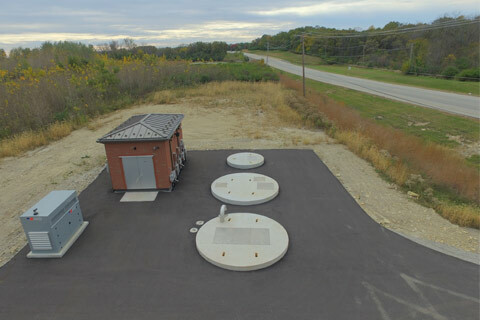 Several of the sites were field-modified to the new control system while many others were incorporated into new control enclosures or added to control buildings of some of the larger facilities. Other communities and system operators have had to upgrade or replace entire stations plus re-invent what the ideal station might look like for a combination of variables. 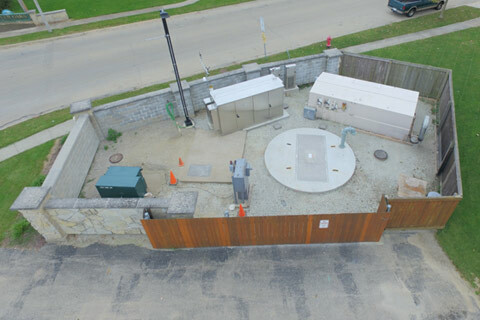 Incorporating on-site stand-by power, as well as chemical addition, updating security and aesthetics, are some of the reasons customers, including the Village of Lake Zurich, City of Joliet and Illinois-American Water/Bolingbrook, IL, came to Metropolitan for assistance in creating their standard lift station. Metropolitan is also able to assist with a variety of other options including safety features, flow measurement, SCADA systems, site constraints, while at the same time improving the operational reliability of their systems by taking an entire system approach of each location. 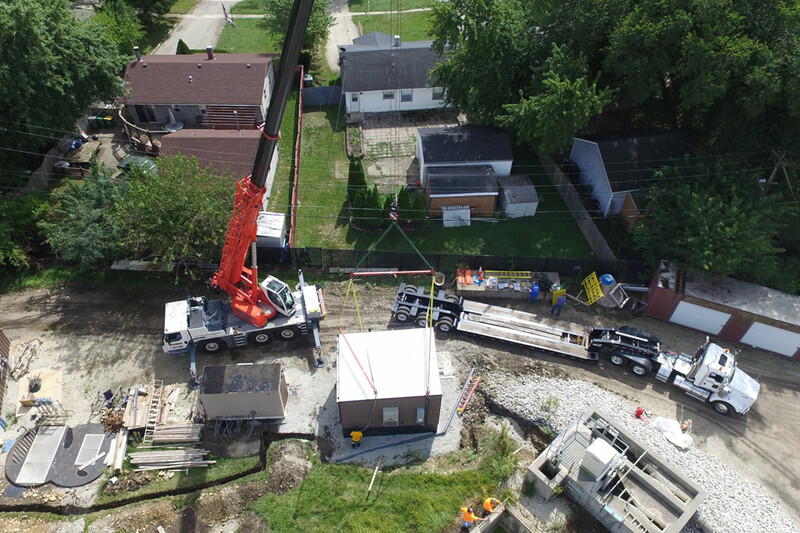 When performance lessens and other issues become prevalent at a lift station, Metropolitan Industries provides complete system responsibility for local communities like Minooka, Oak Brook and Crest Hill. In cases where an existing facility is failing or has fallen into a state of disrepair, it is time to provide a solution that properly reflects the owner’s needs while paying attention to details and improvements that make sense to incorporate in one complete project rather than in phases. When complete solutions are not within the budget, it is often wise to get as much “bang for the buck” while still making significant improvements to as many of the issues at hand as possible. That is why communities like Shorewood, Romeoville and Lockport often turn to Metropolitan to provide quality improvements at a value that exceeds the costs associated with such upgrades; whether through standard specification and bidding processes, the use of design-build agreements or even direct purchase by the owner. Metropolitan is more than capable of tackling small and large projects, while tending to the needs and requests of system owners/operators, and ultimately providing quality products with quality service and a quality solution to exceed expectations.